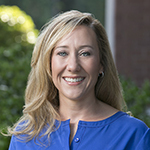 Kelli is a founding partner of Meadows Urquhart Acree & Cook. Her passion is working with the owners and leadership teams of growing businesses by helping them navigate complex financial, accounting, personnel and ownership issues. Her twenty years of consulting, accounting, tax and process design experience combined with her motivation to build life time relationships creates an engagement experience that helps build a sustainable business while building community. Her greatest satisfaction comes when her clients begin to experience empowerment over the financial and operational aspects of their businesses and can move forward with greater clarity. As Meadows Urquhart’s culture director, Kelli knows first-hand the importance of harnessing a company’s technical capabilities with team building to create an engaging culture. Kelli strives to get employees involved not only professionally, but also in the community. When Kelli is not working, she is traveling and spending time outdoors with her husband and two daughters.